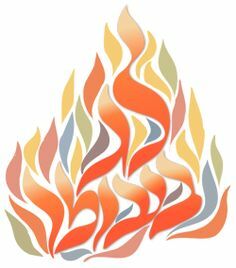 Falling between Passover and Shavuot, Lag B’Omer is the 33rd day of Counting of the Omer. The counting is intended to remind us of the link between Passover, which commemorates the Exodus, and Shavu’ot, which commemorates the giving of the Torah. It reminds us that the redemption from slavery was not complete until we received the Torah. Lag B’Omer is a time for reinforcing our unity, specifically in the endeavor of plumbing the depths of Torah, and a time for developing an appreciation that Torah study — and all of Divine service — is a joint effort. The more we learn to appreciate this, the more the wellsprings of the Torah — and our own souls — will open up to us. Pot luck celebrations like this are not to be missed! For pot luck, please bring dishes that are parve, vegetarian or dairy. Also, please park on the street with wheels close to, but not on, the swale. Please call the office for Rabbi’s home address. This event is a member privilege, and a great reason to join now! This is a member privilege event; limited to 20 members. Please RSVP to the TAO office at 954-888-1408.